You know that we have had some challenges trying to make your experience and SEO life easier. I am talking about communicating with other tool developers/sellers and integrating their solutions into KM and vice versa. On the other hand there are people who not only are open to any suggestions but also are willing to give feedback on KontentMachine too. We love working with such guys. The developers of Licorne AIO are no exception. We worked together to create a template in KontentMachine so all Licorne AIO users can quickly generate content for their campaigns. If you are building a quick campaign you can select it while setting up your campaign. 2. Click on Change AIO Settings. 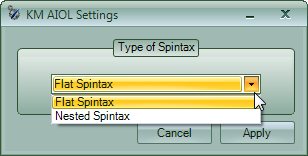 Here you can define whether you want the content to be in nested spintax or flat spintax. Remember that nested spintax gives you far more variations. It is preferable to use it if you are submitting to a large number of websites (Tier 2+). If you are building your tier 1 links then you might want to have more control on the output and allow less variations but more readability. In this case you can use the Flat Spintax option, just have in mind that you can submit to less sites. 3. 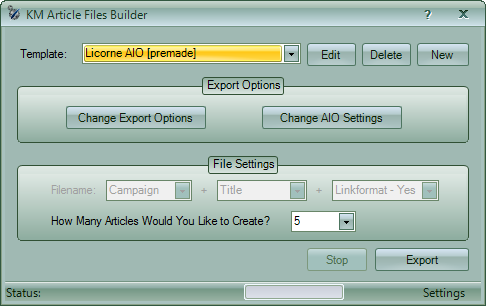 Open Licorne AIO 3.01+ and click on New Task -> Article Submission, provided you have already created a project. 5. 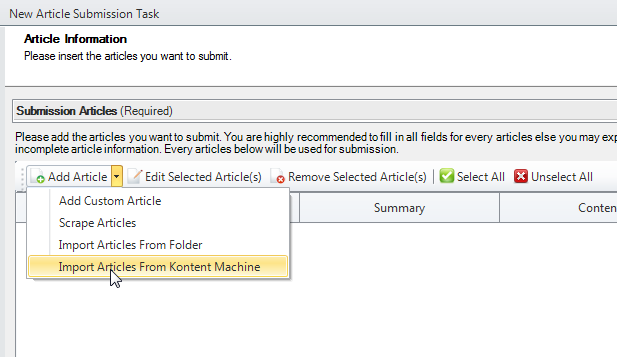 Browse to the folder where KontentMachine saved the files and select the ones you want to use. That’s it. 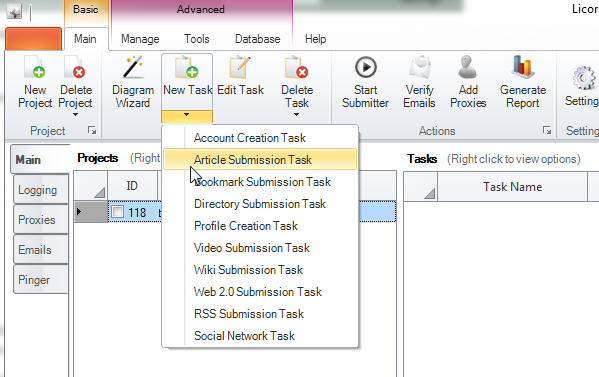 The best part is that you can use the same process for Bookmarks, Wikis and Web 2.0 submission tasks. Once again, we would like to express our appreciation for the willingness of the Licorne AIO developers to cooperate so we can create something better for you guys!